If you wear traditional dentures, have teeth that are loose or failing, we can help. This can be incredibly frustrating, and you may wish there were some alternative to traditional dentures you could consider. 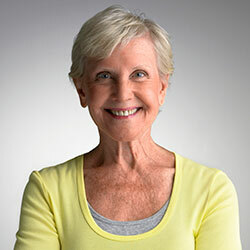 If you’re unhappy with your current dentures or failing teeth, ask Dr. DiLauri about the All on Four prosthesis. Not every patient is a candidate for All on Four prosthesis, but for those who are, it’s possible to enjoy improved function, appearance, and self-esteem. How Does the All on Four prosthesis work? The All on Four prosthesis uses four or more dental implants made of biocompatible titanium to secure teeth, thus acting as prosthetic roots. After they have been placed, they’ll bond naturally with the bone tissue in your jaw, creating a firm foundation for your new teeth. In some cases, patients are able to have their current dentures retrofitted with snaps for the All on Four implants, but often, Dr. DiLauri will need to provide you with a new set of custom made teeth that will easily snap into place. Patients who have undergone an All on Four procedure have been able to enjoy a more natural smile that boosts their quality of life, in addition to improving their dietary possibilities and self-esteem in social situations. Call our Succasunna dental office today if you’d like to learn more about the All on Four prosthesis or if you’d like to schedule a consultation visit. With All on Four Dr. DiLauri can help you reclaim your smile and your life.